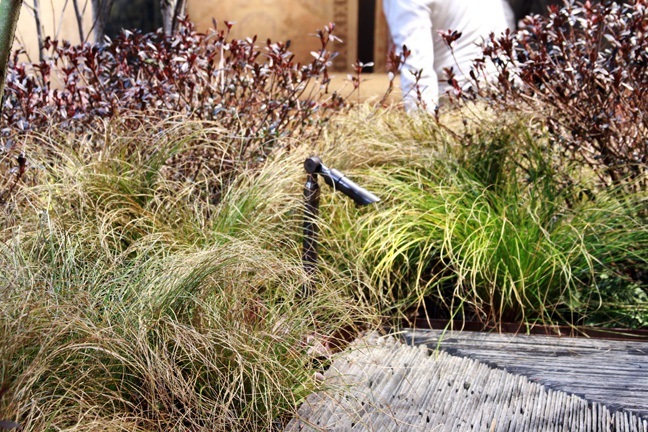 There’s more to admire in the landscape than just lawn. For many homeowners, spring is the season they most enjoy their home’s landscape. Whether it is because of that lush, green lawn they have worked so hard to feed and tend, or the parade of bountiful blooms heavy on limb and leaf, fragrant and colorful, spring is the season that provides stimulation for all the senses! In order to get breathtaking results, now is also the time of year when homeowners spend a considerable amount of time and effort to ensure they have a landscape they can be proud of. One commonly overlooked feature that provides endless benefits to the landscape in the evening is landscape lighting. With a growing trend towards outdoor living, having the ability to enjoy the spoils of your labor can be just as beneficial in the evening as they are during the daylight hours. Quality outdoor landscape lighting can turn your spring landscape into a jewel that shines after dark. The outdoor lighting at the stunning home in Franklin, TN serves as a perfect example of how you can benefit from LED landscape lighting. There are four (4) main benefits to adding landscape lighting to your property. These are beauty and curb appeal, safety, security and the way it adds value to your home. While the aesthetic benefits of landscape lighting are an inevitable plus, the added benefit of making your home safer and more secure is a driving force for installing landscape lighting for many homeowners. 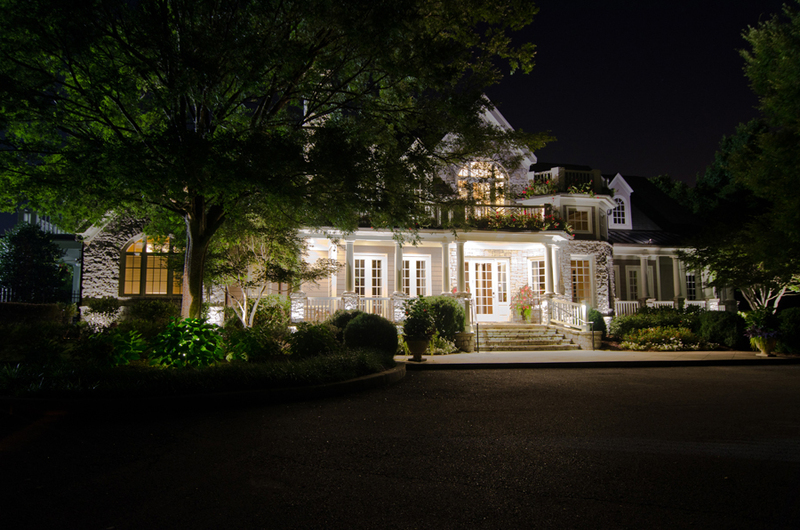 Landscape lighting aids in a more secure home because of the lack darkness your landscape offers to would-be criminals. Burglars typically decide which homes to rob from their vantage point in the street. They look for easy accessible homes they think they can enter and exit without being observed by neighbors or passersby. If your Nashville home and landscape is well-lit, criminals are more likely to pass it by, since an attempted break-in on your property would require them to step into the light, leaving them vulnerable and exposed. From a safety perspective, the addition of landscape lighting improves safety for you, your family and guests walking around your property at night. Whether it is a quick trip to the pool house to grab laundry, or an evening game of corn hole by the deck or patio, landscape lighting will ensure the areas you frequent in the evening are visible and safe for eased travel and enjoyment. It is no secret that homes with professional outdoor lighting installations generally sell for more than those which do not. Not only does your home “show” better at night for potential buyers and to spark interest, today’s home buyer is savvy and recognizes the many benefits of outdoor lighting in comparison to other homes in their price range. Remember, landscape lighting which has been installed by a licensed outdoor lighting professional ensures proper installation and placement for optimal aesthetic value. This is one of the many reasons investing in a professionally installed system is worth the investment. Outdoor Lighting by Outdoor Lighting Perspectives of Nashville. There are also many different types of landscape lighting including to choose from when deciding to move ahead with a professional system. These include line voltage and low voltage, but here at Outdoor Lighting Perspectives of Nashville we receive more requests for LED outdoor lighting systems. LED’s are extreme energy efficiency and offer a very long bulb life. Since they don’t use a “filament” in the classic sense, the piece of metal inside a bulb that burns out causing a normal bulb to fail, an LED bulb can last for tens of thousands of hours. LED technology has advanced in such a way that it is widely used and well received by Nashville homeowners as the top choices for outdoor lighting, meaning: your peonies will seem pinker and more vivid, as will the lushness of your lawn, under the spell of LED landscape lighting! This entry was posted in Garden Lighting, Landscape Lighting, LED outdoor lighting designs, Outdoor Lighting and tagged Franklin TN Landscape lighting, Franklin TN outdoor lighting, Landscape lighting Nashville, Nashville landscape and garden lighting, Nashville landscape lighting, Nashville TN deck and patio lighting, Nashville TN moonlighting, Nashville TN outdoor lighting experts, Nashville TN path lighting, Nashville TN pool and underwater lighting, Nashville TN tree lighting, Nashville upscale outdoor lighting, Outdoor Lighting Design Nashville TN, outdoor lighting Nashville, Pool LIghting Nashville TN by outdoorlightingnashville. Bookmark the permalink.